Simmer the berries, sugar and lemon juice over a medium heat for approx. 10 mins, allow to cool. Mix the flour, sugar, baking powder and salt in a bowl. Add the butter and rub together using your hands to form an even, crumbly mixture. Pour in the milk and mix quickly to create a soft dough – do not knead. Roll out the dough to a thickness of approx. 11/2 cm. Using a cutter (approx. 5 cm diameter), cut out 12 scones, place on an oven tray lined with baking paper, brush with milk. Bake for approx. 20 mins. in the centre of an oven preheated to 200°C. 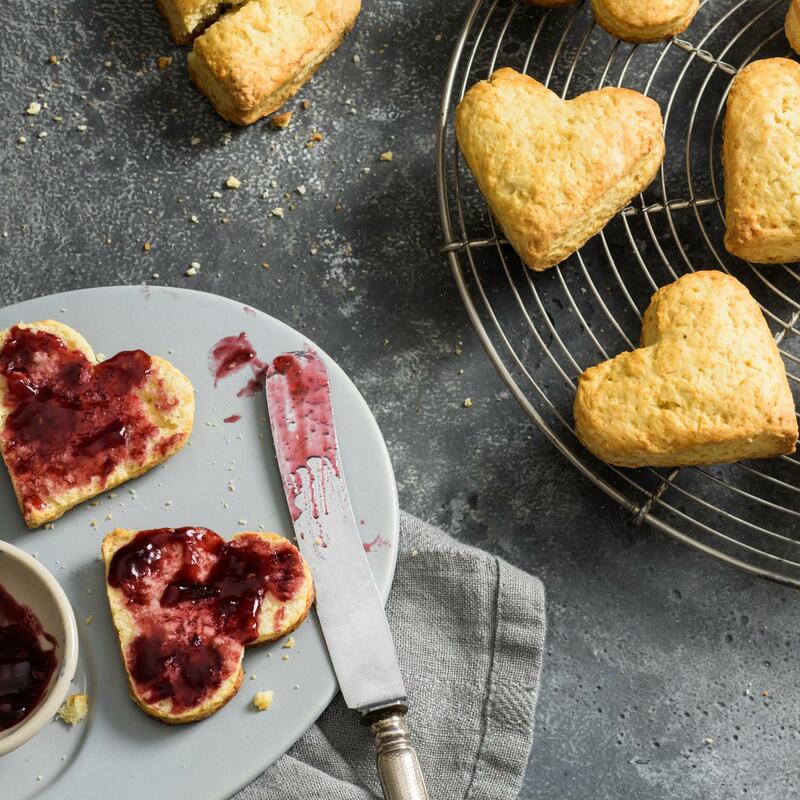 Remove the Valentine scones, allow to cool a little on a cooling rack, serve just warm or cold with the jam. The super-quick jam can be covered and kept in the fridge for approx. 4 days.